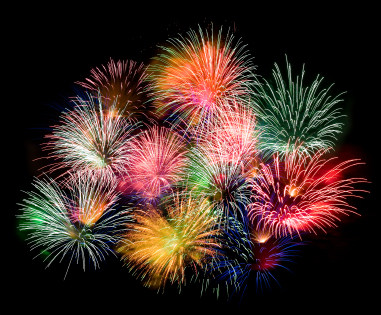 Is your dog afraid of fireworks? Does the Chinese New Year and Hari Raya celebrations send your dog scared and into hiding? If your dog exhibits any anxiety from the sounds of fireworks or other similarly loud noises, you need a Thundershirt. The Thundershirt can help treat all symptoms of dog firework anxiety, and no training is required. To see the effect, just put a Thundershirt on your dog and observe the results. In most dogs, a positive difference is obvious in the very first usage, while others may need two or three usages before displaying a significant change. Before the anticipated fireworks display, put the Thundershirt on your dog, i.e. prior to your dog becoming scared and anxious. But, it is fine to put the Thundershirt on AFTER your dog has become anxious, as you will still see good results. 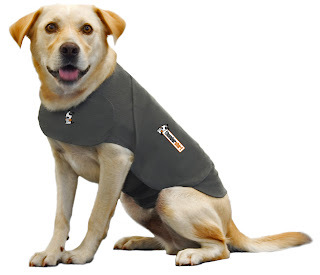 In most cases, it is fine to leave a Thundershirt on your dog for extended durations of time. For what types of symptoms will the Thundershirt work? 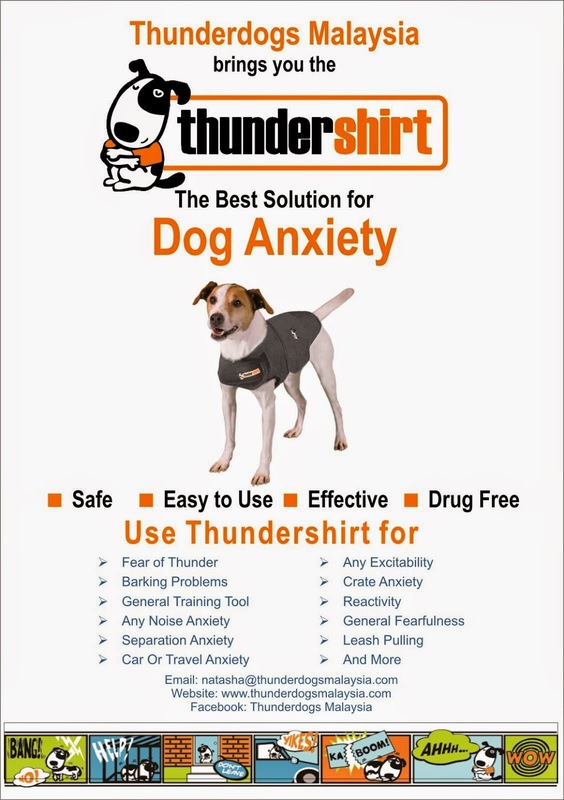 The Thundershirt is effective for a wide variety of anxiety symptoms. For noise anxiety, those symptoms include shaking, panting, drooling, yawning, barking/whining, hyperactivity, eliminating indoors, clawing, digging, hiding, and clinging to owners. The Thundershirt has even cured symptoms as severe as clawing through walls and seizures. Will it work the first time my dog wears the Thundershirt? Most dogs show significant improvement within minutes of putting the Thundershirt on for the first time. Some dogs may take two to three usages before they show significant improvement. How tight is “too tight”? 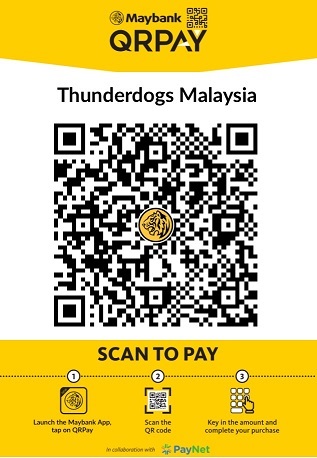 The Thundershirt should only have comfortable pressure on your dog. How do you judge “comfortable”? You should be able to easily slip you fingers under the Thundershirt. For the neck straps, they should only be gently stretched... no pressure is needed around the front chest area; the benefit from the Thundershirt comes from the pressure around the torso behind the front legs. When securing the torso straps, you should be stretching the fabric, but it does not require any strenuous force. How long can my dog wear Thundershirt? The Thundershirt is comfortable and safe to wear for extended periods. Will my dog eventually no longer need Thundershirt for noise anxiety? In some cases, yes! The Thundershirt allows many dogs to experience the problem noise(s) in a calmer, less fearful state. Over time, this enables some dogs to learn to be less fearful of the noise(s) even without the Thundershirt. The underlying symptoms diminish, or in some cases are eliminated entirely. Please click here to see our full FAQ or contact us.